As our search for the best salon quality hair dryer continues we will take a look at an interesting model from the popular beauty products company Bio Ionic. This company as their name implies is on the leading edge of negative ion infusion and a great deal of that technology goes into this fine hair drying product. The quality features in this model hair dryer go well beyond just its negative ion infusion too. 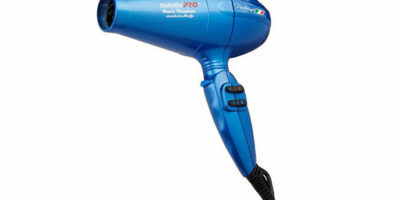 So let’s take a closer look at this popular professional quality hair dryer and see what all the fuss is about. There is a really well designed ‘EcoDrive’ motor that powers this quality hair drying unit. It features a full 1800 watts of drying power and that’s plenty enough to help you style you or your clients’ hair very quickly. The motor is designed to last a long time (20,000 hours) and is super energy efficient when running. If you like a hair dryer that is lightweight and easy to use this model has that going for it too. Despite all its power, it weighs just a little over one pound. There are also not many switches on this model hair dryer and both the speed and heat selection buttons are incorporated into the same easy to slide switch. So there are just a few simple movements you have to make with your fingers to switch between the different heat and speed settings. There are many other features that help nicely round out this model hair dryer’s performance too. For one, it has a handy cool shot button to cut the flow of heat to the section of hair you are styling so it stays in place. It also has a swivel end where the power cord goes into the unit so the cord does not get all tangled up as you use it. Even a convenient carry tote is included right in the package. 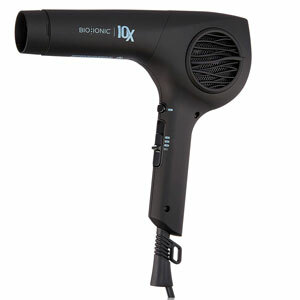 Bio Ionic nicely backs up this salon quality hair dryer with a 10-year limited warranty. That is a lot of buying confidence that you get when purchasing this model hair dryer. Without a doubt, this products top feature is its very unique volcanic mineral infusion. This is technology that is very similar in nature to tourmaline infused products in that it introduces many negative ions into the air stream of this dryer as you blow dry your hair. These negative ions introduce a lot of benefits for you as you are blow drying your hair. Among the main things that due is chop down large water molecules into smaller ones so your hair will dry quicker. Negative ion technology also helps break down the surface tension of your hair to make it style easier without adding as much heat. This tends to help prevent the frizz and split ends that often accompany blow drying hair. Without a doubt, the worst feature of this model salon quality hair dryer is the fact that the air flow and temperature settings are combined into one button. That will definitely be a deal breaker for some users who like to use a variety of different heat and airflow combinations when they style hair. It also has a very long barrel which does not fit some users preferred blow drying style. Other than the fact the speed and heat buttons are combined this is a very high-quality hair dryer. It has a motor that is powerful and will most likely last a lifetime. 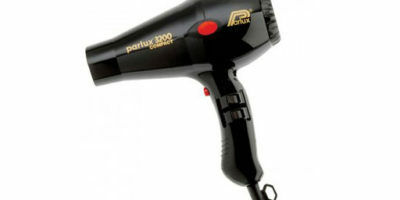 This is also one of the most energy efficient hair dryer models you will ever come across. 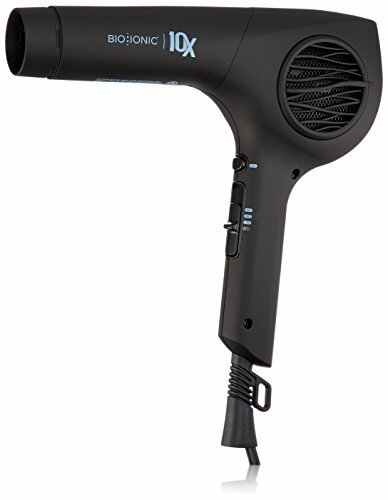 When you factor in its light weight and unique volcanic mineral infusion it’s definitely a salon quality hair dryer worthy to consider purchasing.